Written by: KristaG on August 2, 2018. The first LEGO video game I ever played was LEGO Marvel Superheroes (I know, I know…I was really late to the franchise) and even that was only after watching someone else play it for hours on end. Since then, I have backtracked a little bit and played all of the games from the LEGO Pirates of the Caribbean line, which, as of this point in time, are my favorite. However, all of that may very quickly change thanks to the LEGO DC Super Villains panel that I attended on a whim during San Diego Comic Con 2018. The panel was made up of Arthur Parsons, Kevin Conroy, Tara Strong, Ames Kirshen, Fred Tatasciore, Julie Nathanson, and Justin Ramsden. Though the game doesn’t get released until later this year on October 16th by WB Games, the hype behind it is already pretty huge and, now that I’ve attended this panel, I can definitely see why! 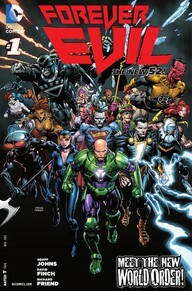 The story-line for game itself was inspired by the Forever Evil series that were released between September 2013 and May 2014 by DC Comics and written by Geoff Johns with illustrations by David Finch (along with several tie-in books written by Peter Tomasi, Brian Buccellato, and Sterling Gates and featuring the illustrations of Neil Edwards, Manuel Garcia, Richard Friend, Scot Eaton, Mick Gray, Jay Leisten, Scott Hepburn, Jason Paz, Jamie Mendoza, Javier Pina, Philip Tan, Norm Rapmund, and Patrick Zircher). For those that haven’t read the series, basically, the plot is one where the Justice Syndicate from Earth 3 comes to our Earth to take over the role of the “missing” Justice League. As someone who has only read a snippet of these particular comics, I’m pretty pleased with what this story-line has to offer and can’t wait to dive right in to see where the game takes its players. However, this isn’t even what has drawn me to the game or convinced me to actually go ahead and pre-order it! 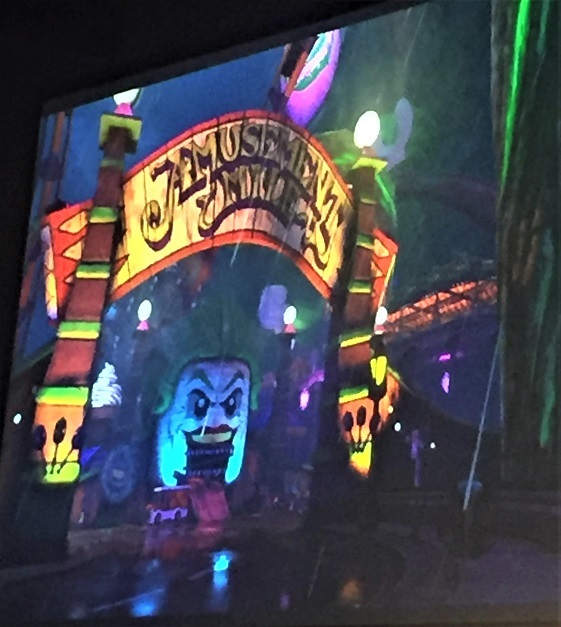 A teaser of the Amusement Mile location within the game. It was announced during the panel that LEGO DC Super Villains will not only be the first open world for the DC Universe that they’ve created, but it will be one of the most expansive open world for the LEGO franchise that they’ve released as of yet. It will include locations from all over the DC Universe including Smallville, Arkham Asylum, The Daily Planet, Metropolis, Gotham City, Stryker Island, S.T.A.R. Labs, Iceberg Lounge, Ace Chemicals, and Amusement Mile. On top of this, each of these locations will have explorable locations within it, making it more immersive than ever before. In addition to all of these gorgeously drawn locations, character creation and customization will also be expanded upon. While creating a character or customizing an easily recognizable one (such as Hulk from LEGO Marvel Superheroes), the options were previously rather limiting. Maybe some color changes, a few abilities, weapons, and a custom name, but not much more. Now, however, character customization is being pushed to the forefront because the characters players create are now playable in the actual story-line! Characters will now be able to level up, gain more powers as they progress in the story, and have their powers be fully customizable (for example: what color the laser effects are and where they come from)! This announcement was met with tumultuous applause and excited shouts (mine included!) by the audience. 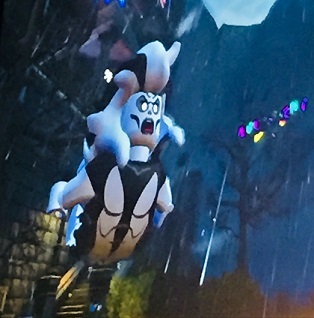 One of the many female characters in the game is Silver Banshee! As with many of the panels held that weekend, there was, of course, discussion of female inclusion and representation. There are, in fact, quite a few female characters that can be played with or interacted with in the form of NPCs such as Livewire, Cat Woman, Vixen, Silver Banshee, Harley Quinn, Killer Frost, and Cheetah among many others. This is quite an easy feat for the designers, though, as there are over 150 villains and heroes in the game. When it comes to LEGO DC Super Villains, as stated by Julie Nathanson, “Women might be more than one thing. More of the power. More of the fun.” Other playable and non-playable characters for the game range from the well-known such as Darkseid, Lobo, Black Adam, Solomon Grundy, Mister Freeze, or Penguin to the more obscure such as Mister Mxyzptlk, Condiment King, Polka-Dot Man, The Ventriloquist, Clock King, and Detective Chimp. 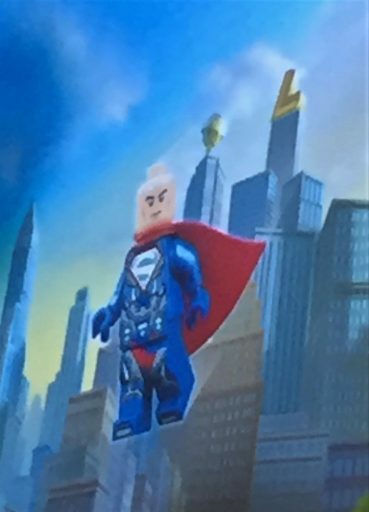 Lex Luthor and the Superman Suit will also be available as an exclusive Mini Fig with the purchase of the deluxe edition of the game! As I stated above, LEGO DC Super Villains will be released on October 16, 2018. The game will be available on PC, PS4, XBOX, and the Nintendo Switch. For Switch players, it should be noted that two players will be able to play on one Switch! There is also a Deluxe Edition of the game that will include the Season Pass for those that are so inclined to pick it up as well as a Lex Luthor wearing the Superman Suit Mini Fig. Wal-Mart will be carrying a version of the game that comes with the DC TV Heroes Pack DLC that will include Arrow, Vibe, Flash, Black Lightning, and Super Girl as additional characters for the game whereas Game Stop will have the Harley Edition, which will come in a Harley Quinn Collectible Steelbook, and Target will be offering exclusive Joker and Harley bag tags depending on the edition you buy. For those that doen’t want to wait, it is currentlly available as a https://chaos-is-coming.wbgames.com/pre-order. Personally, I’m still debating on what edition I want and where to pick it up from, but if there is one thing I know for certain, I will be picking up this game and I owe it all to the lively, excited, and incredibly persuasive panel members that I watched at SDCC 2018. Out of all of the announced characters, which are you the most excited to see? I think I want to see more of the obscure stuff so characters like the Bottler, Kolossal Kate Krasher, or the Mad Mod Witch (a.k.a. The Fashion Thing).